ExoMars 2016 is the first of two missions in a joint project of the European Space Agency and the Roscosmos State Corporation with the second mission, involving a lander and rover, currently looking at a liftoff in 2020. The first mission aims to place the Trace Gas Orbiter into orbit around Mars and deliver the Schiaparelli lander for a technical demonstration of Mars Entry, Descent and Landing with a short-duration science mission on the surface. 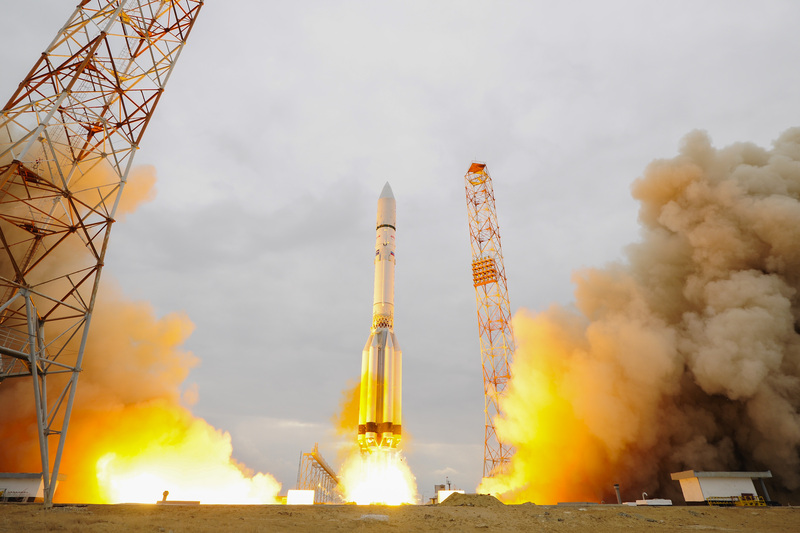 The 4,332-Kilogram Trace Gas Orbiter (TGO) lifted off from the Baikonur Cosmodrome on March 14 atop a Proton-M / Briz-M launch vehicle, successfully delivering the spacecraft to a Trans-Martian Trajectory after a ten-hour and 41-minute ascent mission. Completing its first steps in space, TGO deployed its two power-generating solar arrays and established contact with the ground for an intense three-day campaign to ready the spacecraft for operation in space. Ranging of the departing spacecraft confirmed that Proton/Briz-M hit its mark very precisely with only a 1.5-meter per second error in the injection speed of the probe. The high-gain antenna swung into position a few hours after spacecraft separation, though due to TGO’s proximity to Earth, it was not used for another two weeks. Over the next month, TGO was put through detailed testing of its core systems before the spacecraft’s instruments were first activated for checks. Simultaneously, the 600-Kilogram Schiaparelli lander went through its first set of tests, confirming it was ready to head into a quiet cruise to Mars. 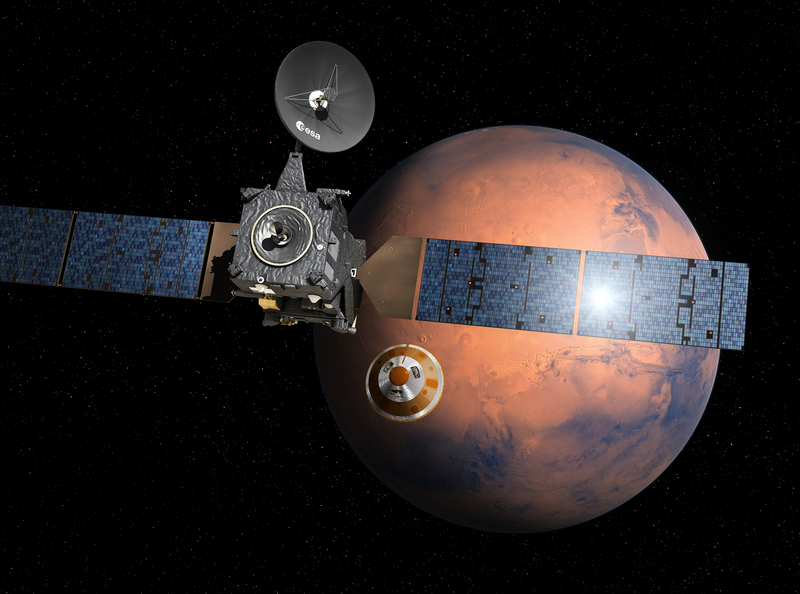 In mid-June, the spacecraft and the team on the ground went through an autonomous science operations cycle to practice for the TGO mission in orbit around Mars. 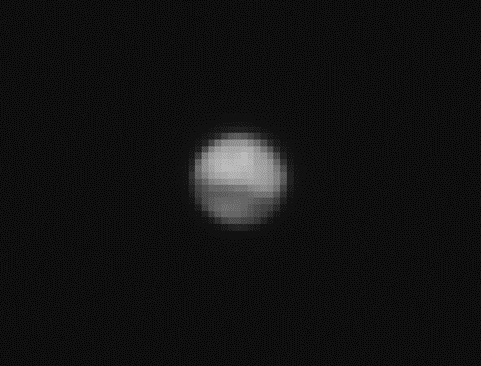 It was during this period that the CaSSiS instrument acquired the first image of TGO’s destination, though Mars only appeared a few pixels wide at a distance of 41 Million Kilometers. 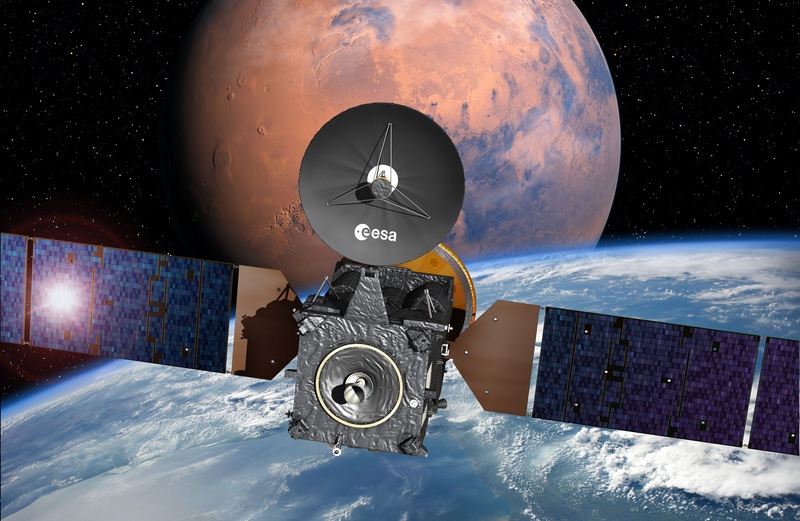 Over the course of June and July, ExoMars was tracked using Delta-Differential One-Way Ranging, a very precise technique capable of determining the spacecraft’s trajectory with an accuracy of a few meters – collecting important data feeding into the development of trajectory corrections and the Deep Space Maneuver. 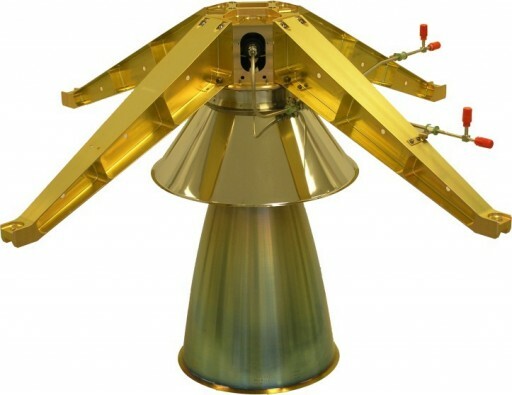 The Deep Space Maneuver represents TGO’s largest main engine burn ahead of the Mars Orbit Insertion Maneuver in October and is needed to optimize the craft’s trajectory to lower the propellant expenditure in the vicinity of the planet and to set up a more favorable entry trajectory for Schiaparelli with the aim of reducing thermal loads. Setting up for the maneuver, TGO fired pyrotechnic valves within its propulsion system to allow Helium to be fed from high-pressure tanks via pressure regulators to the propellant tanks holding Mixed Oxides of Nitrogen and Monomethylhydrazine. After pressurization of the system on July 13, TGO received a command sequence for a short test firing of its S400-15 main engine planned for the 18th. The test of the 424-Newton engine could not be completed as planned due to a misconfiguration which was quickly understood by the mission team, allowing the test to go ahead on the 21st – a small one meter per second firing of the engine to verify the command sequence as well as stable engine operation ahead of the critical maneuver. 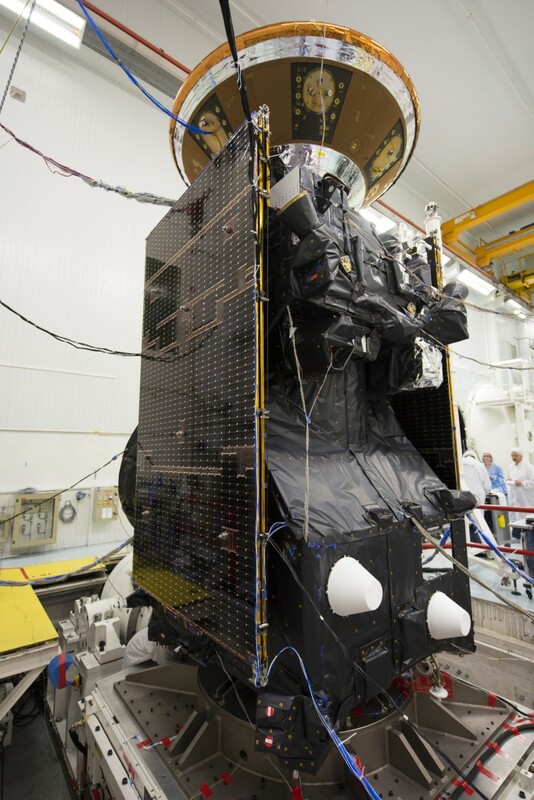 On Thursday, TGO stowed the High Gain Antenna and slewed to the correct orientation for the engine burn, also locking the Solar Array Rotation Mechanisms to prevent damage caused by the forces occurring during the burn. The command sequence for the maneuver was uplinked to the spacecraft on Tuesday and mission controllers were only in a monitoring role on Thursday, watching over signals which traveled four and a half minutes from the spacecraft to Earth. 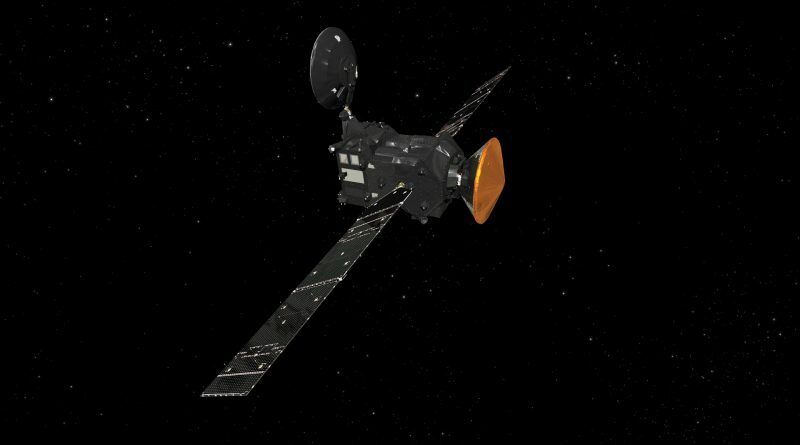 TGO ignited its main engine at 9:30 UTC and fired for 52 minutes, carefully tracking its change in velocity to reach a delta-v of 326.497 meters per second. The spacecraft was programmed to time the burn, avoiding a premature cutoff or burning too long, but the shutdown was to be triggered by accelerometer data, tracking the delta-v achieved by the burn. Deep Space Maneuver 1 was set up to provide around 95% of the delta-v needed during TGO’s cruise to Mars, starting the careful process of setting up Schiaparelli’s landing trajectory for which strict requirements exist as the lander needs to be delivered at a precise re-entry angle with less than a degree of margin to be able to survive the fiery plunge to the Martian surface. All eyes at the Mission Control Center were on Doppler Tracking provided by the New Norcia Tracking Station in Australia where the faint TGO carrier signal was received. Tracking indicates that the burn underperformed by 0.01%, in other words was very precise. After the burn, TGO was to slew back to a sun and Earth-pointed orientation, re-enable solar tracking of the solar arrays and resume communications with Earth. Tracking will be in progress for the next week to precisely determine the post-burn trajectory of the spacecraft. A second, smaller Deep Space Maneuver is planned for August 11 which will serve two purposes – continuing to refine TGO’s trajectory to Mars and rehearsing the Mars Orbit Insertion command sequence and spacecraft configuration. Because the success of the entire mission rides on the orbit insertion maneuver, the spacecraft will be configured to avoid heading into a safe mode in the event of a non-critical systems failure in order to continue the burn and achieve a safe orbit. 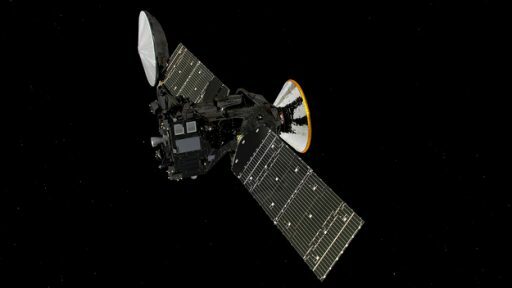 To verify this operational mode, the spacecraft will use DSM-2 as a mock orbital insertion which will uncover any deficiencies with the sequence for tweaking ahead of the big day. Fine-tuning maneuvers to set up TGO’s precise path to Mars are available on September 19 and October 14. 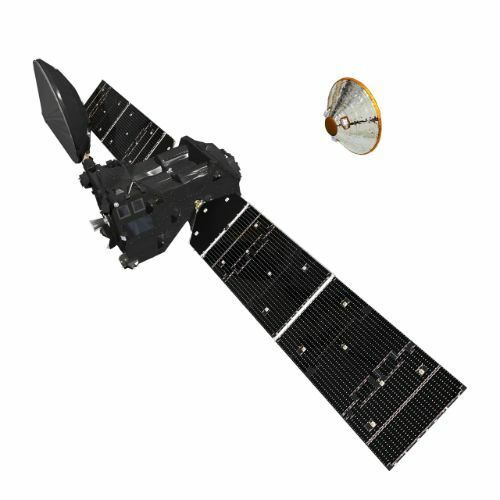 Release of the Schiaparelli lander is planned on October 16, sending the small spacecraft on an intercept trajectory for entry into the Martian atmosphere toward a landing at Meridiani Planum for three days of surface operations or however long the craft’s batteries can last. On October 17, TGO will maneuver from a direct intercept path to a hyperbolic approach trajectory for a 2.5-hour braking maneuver on the 19th in order to be captured in a highly elliptical orbit around Mars for a multi-month orbit lowering campaign ahead of the start of science operations. 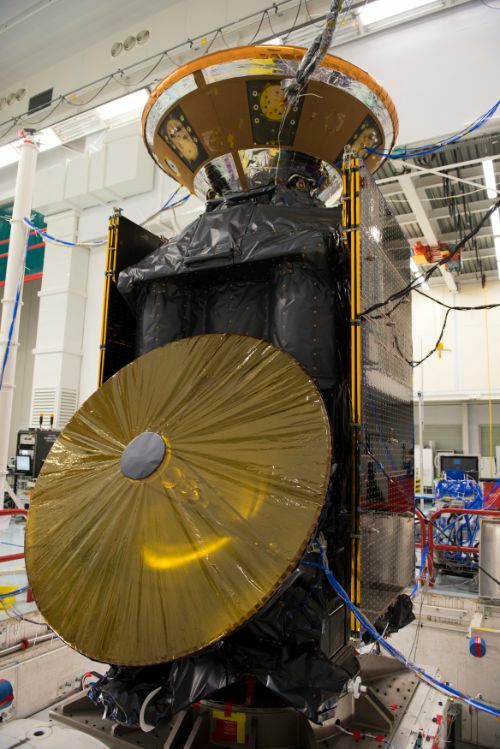 The Trace Gas Orbiter, built in Europe by Thales Alenia, is outfitted with two European and two Russian instruments – a pair of high-fidelity spectrometer instruments, a high-resolution imaging camera, and a suite of neutron sensors and radiation dosimeters. The two spectrometer instruments are capable of detecting the spectral signatures of trace gases down to a concentration of a few parts per billion, allowing TGO to track changes in the Martian atmosphere, to create high-resolution vertical profiles from the ground to 160 Kilometers in altitude, and to identify possible sources and sinks for atmospheric trace gases.